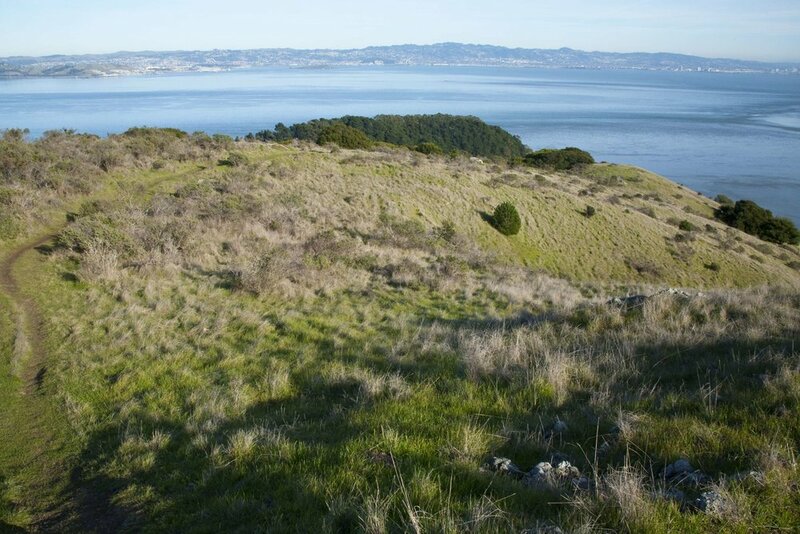 Last Tuesday the Marin County Board of Supervisors (BOS) certified the Martha Environmental Impact Report (EIR) for 43 large houses on the Martha Property at the southern end of Tiburon Peninsula. The 3-2 vote was driven by a federal court order dating back to 2008, which mandated this outcome and an 14-month time line to achieve it. The fact that it actually took over nine years is a testament both to the difficulties facing this project as well as the formidable citizen concern and involvement. Under the now-certified EIR, the BOS generally approved lot locations of approximately 1/2 acre in size. However, they moved three locations far downhill, closer to Paradise Drive. They also restricted the remaining 24 upper-ridge houses to 18’ in height above grade. The house sizes requested by the applicant were denied. Smaller houses seem likely, but those decisions won’t come until design review - long after the required infrastructure is constructed. How the numerous traffic and dangerous road safety issues will be managed remains a considerable challenge. The developer has proposed that the homeowners association (HOA) will have a host of incredibly complex responsibilities including special plant protection, landslide management and repair...forever! These are very daunting tasks for a HOA and we will monitor the arrangements. Additionally, the recently filed TRUST (trails) lawsuit and potential water rights litigation also cast a cloud over the project. Here is the Marin IJ link for more details about the meeting. We plan to keep all of these issues front and center. They have not gone away. And, by the way, neither will we. So we continue to ask for your support. Please stay tuned…and involved as we continue to pursue our real goal - the purchase of the Martha Property for all and forever.